Liz has been performing since an early age. A Texas native, she has had the opportunity to grace stages locally, nationally, and abroad. Her love of dance, music and theater has endeared Ms. Mikel to audience members of all ages. An all-around entertainer, she was trained from age 6 in dance by Ann Williams, founder of The Dallas Black Dance Theater. And she also studied under the illustrious Curtis King, founder and Director of The Black Academy of Arts and Letters. She has toured nationally and has performed at Regional theaters across the country, including most recently, The Cape Playhouse in Dennis, Mass. Liz is known to Dallas Metroplex audiences having performed at;The Dallas Theater Center, Theatre Three, The Dallas Children’s Theater, WaterTower Theater, Casa Manana, The Majestic Theater, Jubilee Theater as well as other venues. In October 2005, Liz played the part of Mabel –The First Lady, thrilling audiences in the musical “CROWNS” written and directed by award winning actress, Regina Taylor, at The Dallas Theater Center. She has appeared in over 20 productions at DTC since 1990. And in December, she completed her 14th year in its annual production of A Christmas Carol, where she portrayed several characters, including The Ghost of Christmas Present. She was a company member of Vivid Theater Ensemble, a professional African American acting company founded by her mentor, Akin Babatunde'. And in 2004, she accompanied Mr. Babatunde’ and Co-playwright and producer, Alan Govenar to Geneva, Switzerland; Paris, France and New York to perform the musical Blind Lemon Blues. As well as stage, Liz has appeared in films and commercials and she has done numerous voice-overs. She’s also performed locally on Good Morning Texas, Insights, Metro, and Good Day Dallas. Liz has opened for nationally renowned recording artists Erykah Badu, Branford Marsalis and Isaac Hayes. And was featured vocalist for the Dallas Museum of Art’s presentation of Duke Ellington’s “Sacred Concert”. 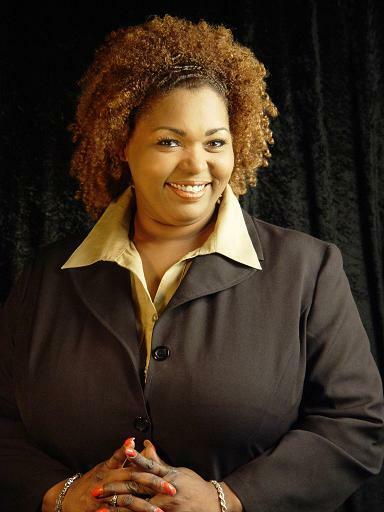 She has received the Dallas Theatre League’s Leon Rabin Award for Outstanding Performance by an Actress in a Musical 1998; The Sankofa Award, for her dedication to the Arts in the Community;The Dallas Theater Critics Forum Award 2004 for Ain’t Misbehavin. Liz was named Best Actress 2004 by D Magazine in their annual Best of Big D issue. And recently, she was featured as Queen of the Arts-The Face of Black Theater in Dallas byThe Dallas Weekly, March, 2006. Ms. Liz's dream of being a performer would not have been possible without the love and support of her family. Mother, Dr. Versia Lindsay Lacy; daughters, Lindsay, Corienne, and Vershea; and siblings, Brenda McKinney & Keith Lacy. "Thanks for your constant love, support and encouragement...I Love you all!" Liz is represented by The Mary Collins Agency.